I just want to say that these are SO DELICIOUS! I mean really delicious. 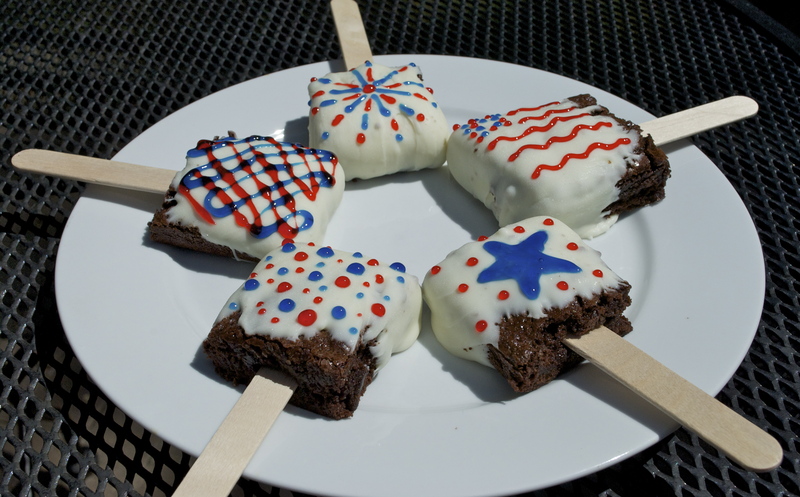 We decorated them for July 4th but this is an idea you can use for just about any holiday or party. And, it’s a fun way to serve it for both kids and adults. Melt chocolate chips in microwave for about 1 1/2 minutes. Stir well. Place on wax paper and return to freezer for at least 30 minutes. Remove from freezer and decorate with festive designs of your choice! Enjoy frozen, refrigerated, or even at room temp. They are delicious! This recipe was adapted from Betty Crocker Recipes.